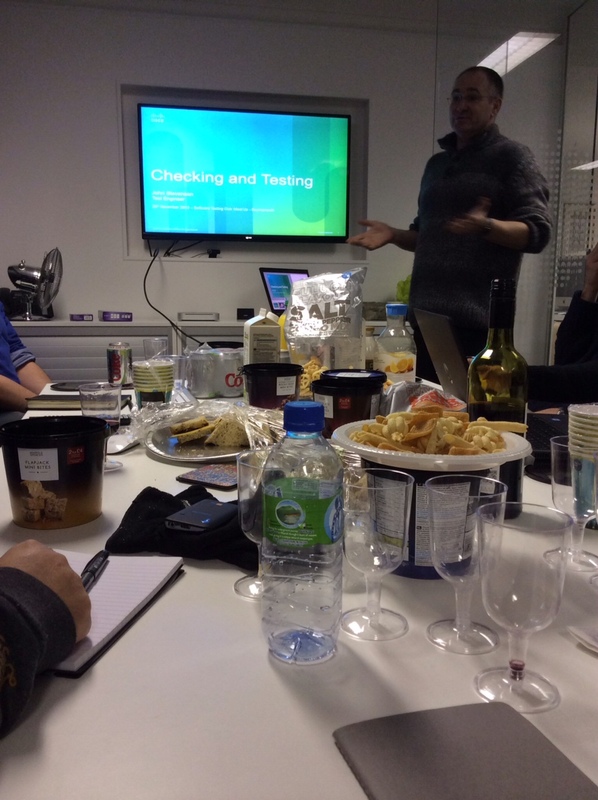 Last Wednesday night I got my testing fix by attending the awesome Test Retreat UK in Bournemouth hosted by Raji Bhamidipati (@peppytester). I’ve been working very close to Bournemouth for several months and I attended a previous Test Retreat UK event in July. It was well worth traveling over after work to attend. 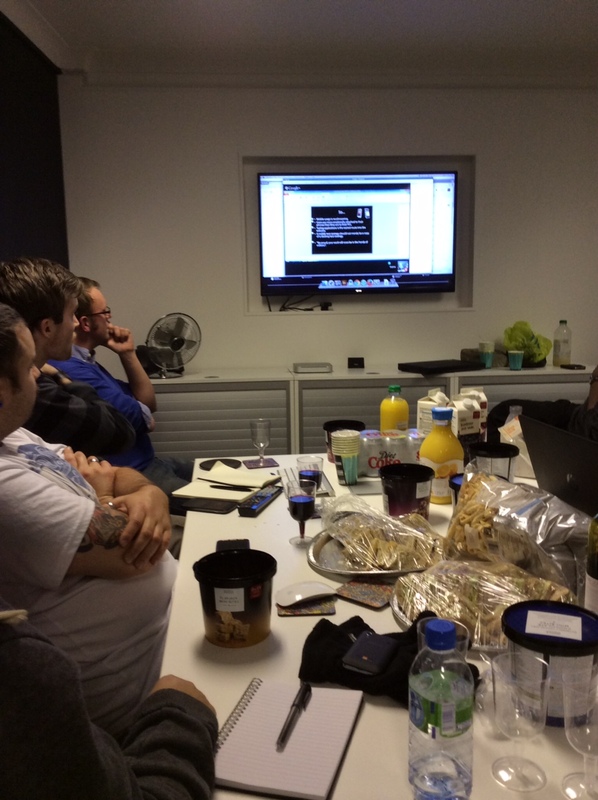 Fantastic exploratory testing session and face to face chats/discussions with fellow testers….I loved it and wanted more!! When the opportunity to get together again came up, I was a dead cert to go!! Slightly different location to the last event, this time it was in the very impressive Open Device Lab (@odlbmth). These fellas have a truly epic amount of devices and it’s a free to use resource. The Open Device Lab is a free-to-use resource in the heart of Bournemouth for testing and developing on modern devices. It’s open to all: freelancers, students, in-house teams, and tech companies. Whether you’re testing a native app or a responsive website, the wealth of devices in user’s hands means that getting hands-on with real devices is more important than ever. It’s a place that is well worth checking out and thank you to them for the use of their office. One talk I was looking forward to seeing/hearing was “All About Mobile Testing” by Stephen Janaway (@stephenjanaway) via Google Hangouts. After a few “technical difficulties” the talk commenced. I have had, at the time of writing this, zero mobile device testing exposure and this talk was a perfect taster in to this side of testing. Stephen has a great teaching style and makes the information come to life, keeping the listeners constantly engaged in the subject. He was also kind enough to publish the slides for this talk. Worth a look when you get some free time. *Plug Alert* Stephen is also running a 1 day pre TestBash course on Mobile Testing which I’m very interested in attending (time permitted) and I’m sure many others will be registering for this one very soon, so don’t waste any more time and book your place…..hang on, maybe read this rest of this post first. Next up was John Stevenson (@steveo1967) a guy that I like a lot, he has a wealth of knowledge and like many other great testers, wants to pass this forward to others in the community to constantly enhance the craft. Great to hear and see! He also has the wonderful ability to drop a bomb of a question in to a group of people and start some amazing discussions, returning once again with a few more wickedly perfect words that take the conversation to a whole new place – it’s awesome to be part of the group. John gave a talk to the group on “Checking and Testing” he previously blogged about this topic in October entitled “Are you ‘Checking’ or ‘Testing’ (Exploratory) Today?” In the talk he gave to our group he touched on the key points from this post. It was a very insightful and thought provoking talk that constantly makes you question and re-evaluate the way that you are conducting your day to day testing. If you haven’t done so already, take a look at the post. I once again massively enjoyed Test Retreat UK and I cannot wait for the next one and hopefully see some of you there, if you happen to be in the area. Thank you to Raji for getting us all together again and a huge thank you to Open Device Lab for letting us hangout at their gaff. Previous Previous post: Where have you been?! Not seen you for yonks!! Next Next post: The week has flown by….